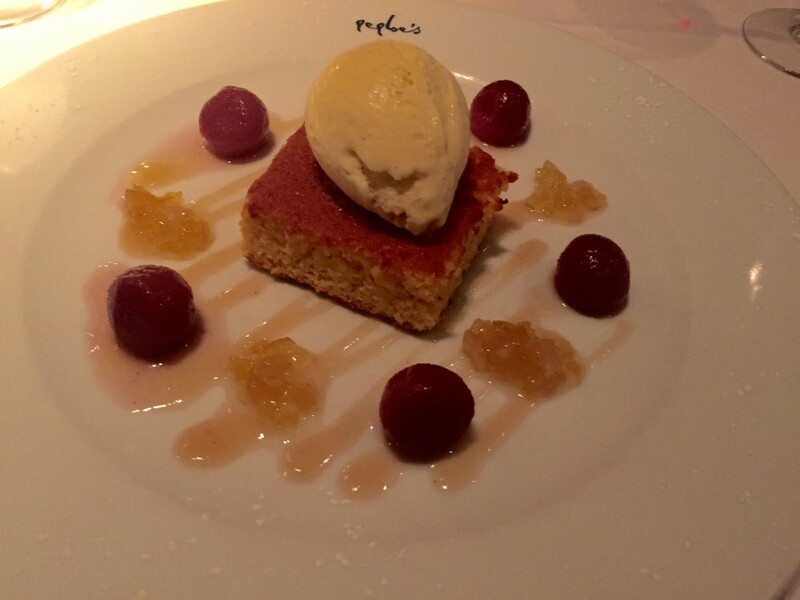 Like a lot of of true food lovers, we had the pleasure of dining in Peploes many times. TheTaste is all about sharing enjoyable dining experiences, both new and old and Peploes is one of those places that when mentioned people always have fond memories of. We popped in on a busy Friday night, a great time to experience the unique ambience this restaurant still maintains after all these years. It is hard to believe this beautifully designed space one housed a boring bank. The room is divided into two large spacious areas, one as you enter, ideal for popping in for a glass or two from their exceptional cellar and some light bites and the other a stunning, inviting space that seems to always be humming. We sat down and ordered two glasses of rich rioja and took our time over the varied menu with everything from scallops, veal kidneys, foie gras to sashimi tuna. The Goats Cheese with Parma ham and the most gorgeous spring vegetable salad were one of my dream starters. A simple enough dish tastefully presented and exploding with flavour from the delicately cooked beets and carrots and a creamy “Crottin de Pays” topped it off perfectly. Himself couldn’t be swayed from the Pan Seared Scallops, generally any mention of chorizo let alone an arancini is enough to seal the deal. In fairness having sampled a few bites you would be hard pressed to argue with the decision. An unusual dish with a zesty little asparagus salsa, which worked beautifully with the scallops. Peploes always has a marvellous selection of fish dishes on offer, so we decided to take a chance on the daily fish delivered fresh that morning. Two fluffy pieces of John Dory with 3 juicy prawns resting on top, nothing better than taking a gamble and it paying off. Hat tip to the chef for a really well executed plate. The meat lover was intrigued with the Ballinwillin Farm wild boar mentioned on the menu but alas this was not to be as this popular dish was sold out, so it was quickly substituted with beef. Dressed in a silky celeriac puree and blackberry jelly, on a bed of farro with a sprinkling of hazelnut throughout this was a serious mouthful and easily the stand out dish of the evening. After two generously sized dishes we decided to split a dessert, a Sicilian Orange Cake with a creamy vanilla Ice cream, poached pear, peach Coulis & a zesty Candied Orange. A light plate and the perfect palate cleanser. All in all including three glasses of wine and two bottles of sparkling water the bill came to €132. 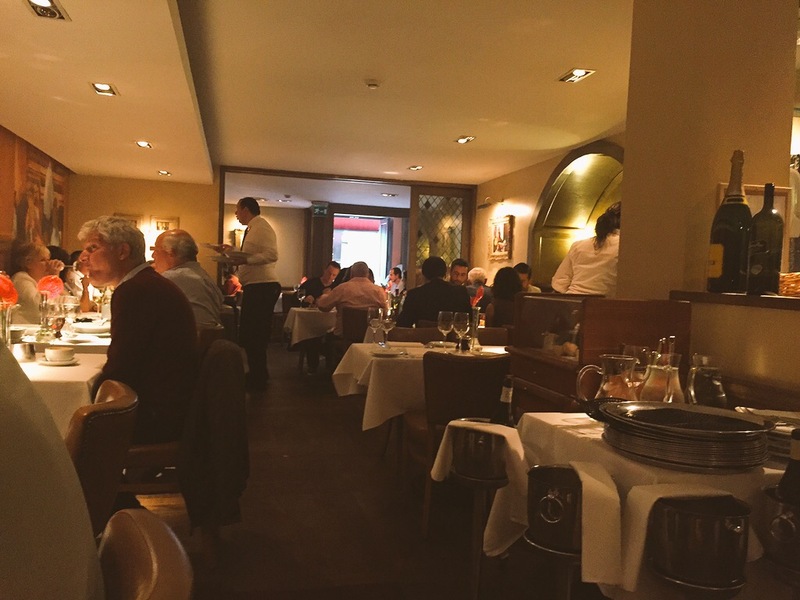 If you haven’t been to Peploe’s in a while it is definitely time for a return visit, one thing is for sure you won’t leave disappointed. This is an Elegant Taste we highly recommend.